On the search for holidays with a family-friendly atmosphere, a fantastic range of activities and great weather? Greece is what you are looking for! Children can play safely on the beaches and enjoy the crystal clear waters of the Ionian and the Aegean Sea, while parents will find plenty to occupy and entertain themselves with. From walks to the luscious hillsides and stunning sunsets by the sea, to delicious local dishes and cocktails by the pool, and yet is more to come. Our 7 best family holiday destinations in Greece list is here to introduce you to the most stunning, family friendly locations with accommodation spots and services to meet all your needs. Enjoy! In the southern part of the Aegean Sea and Europe as well, between the Cretan and the Libyan Sea, lays the grand island of Crete. Its exotic beaches with azure blue waters vary from the north to the south. The northern beaches are organized and easily accessible, sandy, warm and shallow, with lifeguards and are ideal for children while the southern coasts are rather untamed. When visiting Crete some of the must-sees are the towns of Chania and Rethymno, the Archaeological Museum in Iráklion, the Minoan sites, the Lassithi Plateau, the Diktean Cave, the botanical Park in Chania, Samaria Gorge as well as the islet of Spinalonga, a former leper colony of dramatic beauty! Children will get excited with the Cretaquarium in Heraklion and the water park in Chania and you, parents will have the time of your lives in local countryside festivals and celebrations! Stunning natural scenery with pine trees and cypress forests spreading across the island, golden sandy beaches with glass clear waters and exquisite architecture awaits you at the island of Rhodes. Its beaches are Blue Flag awarded thanks to their excellent water quality, environmental management, and safety that makes them ideal for the youngsters to play, while its historic heritage will impress and time travel everyone. Experience the impressive history of Rhodes by visiting the medieval citadel, the ancient town of Lindos, the Dorian city-states of Kameiros and Ialyssos, as well as the castles near Monolithos and Kritinia. Cape Prassonissi, one of the best windsurfing spots in Europe, while the Aquarium and the Valley of the Butterflies will thrill the little ones. Corfu is an island that blends green and blue nature to create a magical result. Olive groves, cypresses, bushes, colorful anemones, orchids and a number of endemic flowers can be found all the way to the coastline while sandy beaches with turquoise and blue waters complete the beauty of this Ionian island. 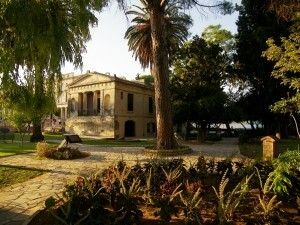 There is a vast variety of activities that can entertain both the parents and children and it would be a pity to miss the opportunity of visiting the beautifully preserved Old Town of Corfu, a UNESCO world heritage site, filled with Venetian, French and British monuments and remarkable works of architecture. Zante is the idyllic spot for you and your family to spend your holidays together. Surrounded by verdant vegetation, olive and fruit groves, featuring impressive Venetian works of architecture and white-pebbled beaches with turquoise waters, the island seems to have it all. Tranquil beaches where children can play and enjoy the sea, numerous day trips for the parents to discover the hidden secrets of Zante and family tavernas with panoramic views over the sea can fill your days with bliss. You must visit the San Marco Square, the Venetian fort, the local churches, the Solomos Museum, the Blue Caves at Cape Skinári, the Navagio (Shipwreck Bay) and explore the island’s fascinating underwater world at the Marine Park. With its unseen natural beauties and hospitality of residents, Kefalonia is an island that can impress every visitor. The island is perfect as a family holiday destination and suits anyone seeking stunning scenery and a relaxed and cozy family atmosphere. Featuring charming sandy beaches with the crystal clear deep waters and landscapes, as well as an extraordinary mountainous national park, the nature of the island will excite you. Visit remarkable ancient sites, the natural wonders at the Caves of Melissani and Drogarati, stroll around the picturesque waterfront promenades in Argostoli, Sami or Fiskardo, come across swans and Loggerhead sea turtles at the Koutavos Lagoon, everything is possible.Try some of the most noted local dishes, ranging from pies to greeneries and several types of meat while sipping Robola, the renown local wine. Either spending your days actively with hiking, making water sports, sightseeing or just relaxing and building castles in the sand, there’s always something to do, any time of the day. Its small distance from the city of Athens makes the island of Hydra the perfect destination for your weekend escape. 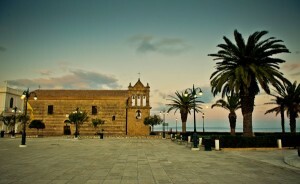 Cars, motorbikes and high-rise buildings are banned on the island, thus the architecture is unique for the region and well-preserved, with narrow streets, museums, monasteries, galleries and churches. White pebbled beaches surrounded by lush greenery await you. Hydra is ideal for spending quality time with your family in a picturesque setting and easy to reach destination. 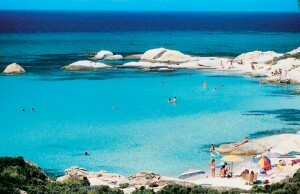 Featuring sapphire clear blue waters and soft, fine white sand, Halkidiki seems to be ideal for family holidays. It is a three-pronged peninsula, jutting out into the northern Aegean from the mainland, with a long, lacy coastline, perfect for the little ones to enjoy safely the glorious beaches. A wealth of charming villages and activities from bird watching to boat trips, make Halkidiki appealing to everyone, in a friendly and welcoming atmosphere and stunning natural scenery. A fascinating attraction you definitely have to visit is the Petralona cave, where the oldest pre-human skeletons, aged about 800.000 years, have been found.On the third leg of Halkidiki, men can visit the Mount Athos, also known as the Holy Mountain, which is home to 20 Orthodox monasteries. Athos is an autonomous polity in the Hellenic Republic, which is under the direct jurisdiction of the patriarch of Constantinople and no women are allowed. When traveling with your family, enjoy Greece and make the most out of your time here. You will definitely come back for more!